Guernsey remain on course for a fifth successive EH National Trophy final after beating London Edwardians on penalty flicks to reach the last four. Nothing could separate the sides in the quarter-final tie at Footes Lane, the game ending goalless in open play. 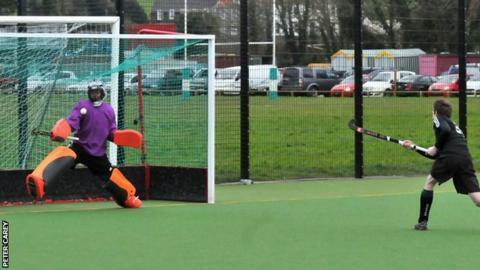 In the shoot-out, keeper Adrian Gidney made the winning save as the Channel Islanders triumphed 3-2 on penalties. Andy Whalley's side will take on Peterborough-based Bourne Deeping in the semi-finals of the competition.